The images on SlashLeaks represent the output of a CAD design, and as such rate pretty low on the confidence scale in terms of ‘this is what the Galaxy S9 will look like when it is launched.’ There’s every chance that this is one of a number of test designs used by the South Korean company to assess form factors – a process every manufacturer will use. No doubt Samsung will have a small run of hand-built devices in various form factors to assess options. This may not be the final design, but I’d be confident it is a design that is being looked at. It’s worth noting that the design does match up with recent leaks around next year’s flagship. It retains the ‘bezel free’ design and the lack of a physical home button on the front of the device. 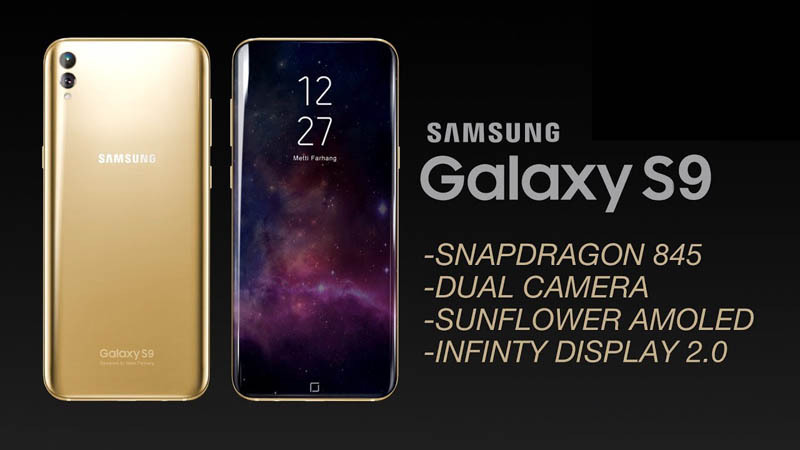 This has moved the fingerprint sensor to the rear of the presumptively named Galaxy S9. That sensor sits below the camera. The camera itself has a dual lens setup, and the shape of this isolated unit echoes the styling of the dual lens/flash/sensor on the Galaxy Note 8. Of all the options that the South Korean company could take for the Galaxy S9 Plus, this design is the safest. If you were looking for the minimum viable upgrade of the hardware and design, this is it. It would be the first Galaxy S to come with a dual camera (which, coupled with Samsung’s latest patent, would be a significant upgrade), it would be the first Android handset to come with the SnapDragon 845 chipset (and would retain that advantage for some months), there’s no sign of a 3.5mm headphone jack, and it would allow Samsung to focus on Machine Learning and software advancements as the key selling points.